The picturesque towns and villages of the Ripon & Nidderdale area will once again play host to world-class cyclists as the Women’s Elite and Men’s Under 23 UCI Road World Championships – Yorkshire 2019 will come through our area. 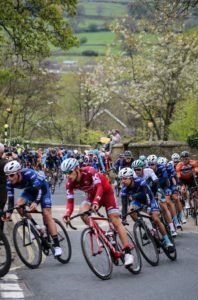 On route from Doncaster to Harrogate, the Men’s Under 23s race will come from Ripon, through Pateley Bridge and on to tackle Greenhow Hill before heading into Harrogate for the finish. 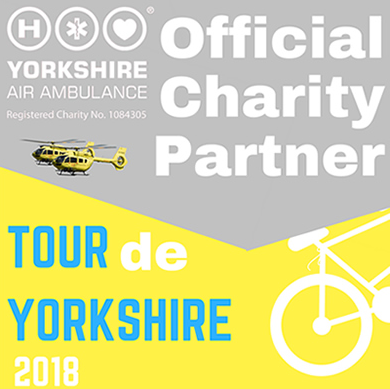 The Women’s Elite race will leave Bradford and head towards Harrogate after coming through Summerbridge, Pateley Bridge and Lofthouse, attempting Trapping Hill on the way to Masham, as tackled by racers in the 2017 Tour de Yorkshire. The race will finish in Harrogate. As details emerge closer to the time, we will list all the family-friendly activities that will be happening in our local towns and villages. Follow us on Facebook and check back on this page nearer the time for all the latest updates. If you’re visting the area why not make the most of your time here and visit some of the beautiful places we have here in North Yorkshire. If you live here, take the chance to vist somewhere new. For ideas on places to go including the world heritage site of Fountains Abbey, have a look at our Days Out page.